FWD50 2018 is a wrap! 20 countries. 1500 government executives. A hundred speakers, panelists, and experts. For three days in November, we once again transformed the iconic Aberdeen Pavilion into the locus of global digital government innovation. Make sure you’re following us on Twitter, signed up for our mailing list, and a member of our LinkedIn group so you don’t miss our latest news and updates. And find out as soon as Early Bird tickets for 2019 go on sale by joining our mailing list if you haven’t already. Thanks to all the partners, speakers, and organizations who helped make this happen. We couldn’t do it without you. Here’s a list of who supported us in 2018. Help us make 2019 happen! Find out about partnering with us. We’re enjoying some hard-earned relaxation, but we still have lots planned. Check out some of the photos from the 2018 event! We’ll be sending out a survey to attendees so we can learn what worked, what we should change, and anything else you have to share. Throughout the event, we had volunteers taking notes of many of the fascinating talks and discussions. We’re creating an e-book from their notes, which we’ll publish soon. You can still check out the 2018 website, including speakers, partners, and schedule. When possible, we’ll be linking each session to whatever materials the speaker provided, so you can review their slides. You can also check them out on Slideshare. We’ll be back in November 2019. But you have work to do before then. 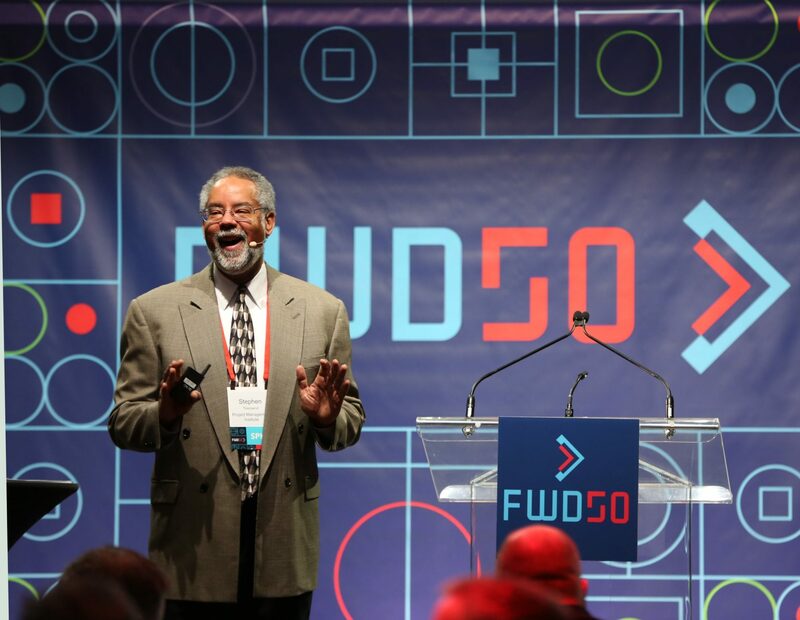 With rich content and hands-on workshops, FWD50 is considered a training event for budgetary purposes. As you’re planning your budgets for next year, be sure to include our fall conference. You’ll get the best price with early-bird tickets and bulk orders for government departments. Got questions about ticket purchases, or need help making a case to attend? Let us know, and we’ll provide you with detailed information about the event and content.